I watched Supremacy for the first time a few days ago. I’m watching it again right now as I write this. I’m multitasking. Supremacy is a true story. In 1992, Garrett Tully was released from prison after serving a fifteen sentence. Tully is a white supremacist and he has the ridiculous views that white supremacists have. On the way home, during a traffic stop, Tully murders a police officer and flees the scene. Tully and the woman he is with go to a house and take the family hostage. Danny Glover is the actor I’m most familiar with in this movie. I think I’ve seen them all in other movies at one time or another, but I know Danny Glover best. 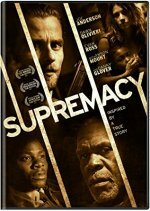 In Supremacy, Glover plays Mr. Walker, the stepfather of the family Tully takes hostage. Mr. Walker is an ex con who is walking the straight line now. Because Mr. Walker is an ex con. he understands what Tully is going through. Several scenes got to me emotionally, especially the ending. 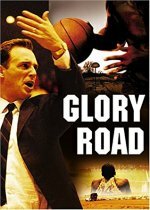 The other night, I watched Glory Road on Netflix. It’s another one of those historic sport movies. This one is about the 1966 NCAA Basketball Championship team. Don Haskins is hired to coach basketball at Texas Western, a small college in El Paso. Haskins goes out and recruits black players from different states, such as Indiana, Michigan and New York. This is 1966 and in the south. Although some NCAA teams had a token black player or two, the black players were not given much time on the court. I guess Don Haskins’s 1966 team was the first NCAA team where the majority of the players were black and they were given the most time on the court. 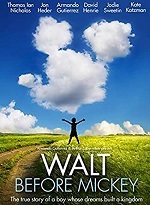 A good movie. I paused it several times to look up something mentioned, so I would know more about it. I was delighted to see one of my old favorites is on Netflix. Jack the Bear. 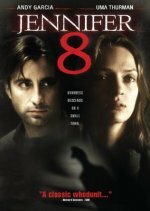 Before tonight, I probably haven’t seen it since the end of the 90’s, but it’s a movie that I’ve thought about from time to time. It’s 1972. 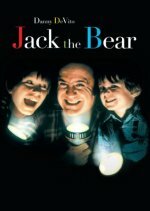 Danny DeVito plays John Leary, a widower raising two sons, Jack and Dylan. Jack is the lead character, he’s around twelve, and Dylan is three. John works as an actor.. He hosts a TV show and does commercials. He also has a drinking problem.. John’s drinking affects his parenting and Jack assumes responsibility for Dylan. 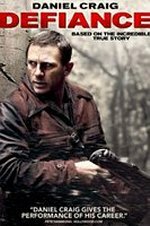 When a neighbor kidnaps Dylan, Jack has to handle the situation himself until John gets home. They’re desperate, angry, scared and they do what they can to find Dylan. 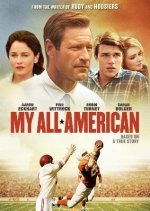 Great acting and a powerful story. I’ll probably watch it again within the next few days. It’s 1941. Germany occupies Belorussia. The Jews are rounded up. Within weeks 50,000 are murdered and a million more will be deported. Defiance is based on the true story of the Bielski brothers who are credited for saving 1,236 Jews from extermination. Zus and Asael Bielski return home to find their parents murdered and their youngest brother, Aron, hiding in a cellar with a knife. The three head to a familiar location in the Lipiczanska Forest. That’s where Tuvia, the eldest brother, finds them. Later, Aron finds a small group of people in the woods. He leads them to his brothers and the brothers agree to let them stay. As time passes more people make their way through the forest and the group grows. They are all Jewish. All of them are fleeing the Third Reich. Tuvia becomes the leader of the group and welcomes new arrivals. His role comes with heavy responsibilities that he takes very seriously. He puts a system in place to make it easier for the growing community to survive. Every member of the community has to work. Everyone is assigned to a job. Everyone also learns to use guns. The Germans are hunting them. There are several conflicts between the Bielski Partisans and the Germans. I’ve watched Defiance several times over the last few years. It is one of my favorites. It’s a very convincing movie and one I recommend. 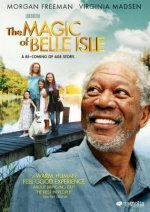 One of my favorite movies is The Magic of Belle Isle. It’s one of those movies that I find comforting and easy to settle into when I’m not in the mood for something overly exciting. It’s just a simple down-to-earth story, about life that we recognize. Morgan Freeman plays Monte Wildhorn, a man in a wheelchair who appears to have full use of only one of his arms. He’s also a drunk and a famed novelist who has not written anything since his wife died years ago. Monte moves into a small house for the summer. He’s bitter, he complains, and he’s often drunk. In the house next door, there’s Charlotte, who is going through a divorce. Charlotte lives with her three daughters, Finnegan, Willow and Flora. When Don, one of the neighbors, dies, Monte is invited to the memorial that Al, another neighbor, is having at his house. Monte reluctantly shows up for the memorial. There, Monte meets Finnegan, who is nine and a half years old and allowed to carry her own pocket knife. When Finnegan learns that Monte is a writer, she decides that she wants to learn how to write and Monte agrees to teach her. Monte gets to know the rest of Finnegan’s family and other neighbors. He becomes a friend to some and helps them in their times of need, and they teach him something in turn.